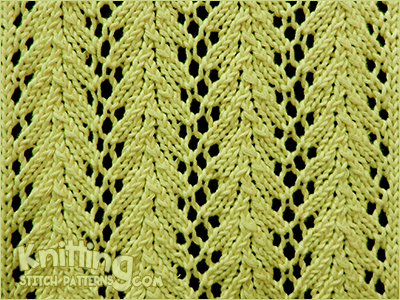 Vine lace is a simple four-row lace pattern and is my current favorite stitch pattern! Glad to see someone else using it! Cast on a multiple of 9 sts, + 4 and 4-row repeat. Row 3: K2, * yo, k2, ssk, k2tog, k2, yo, k1; rep from * to last 2 sts, k2.